Matt Hancock was fourth in Pro 1000 UTVs and first in Pro UTV Turbos at WORCS Round 3. 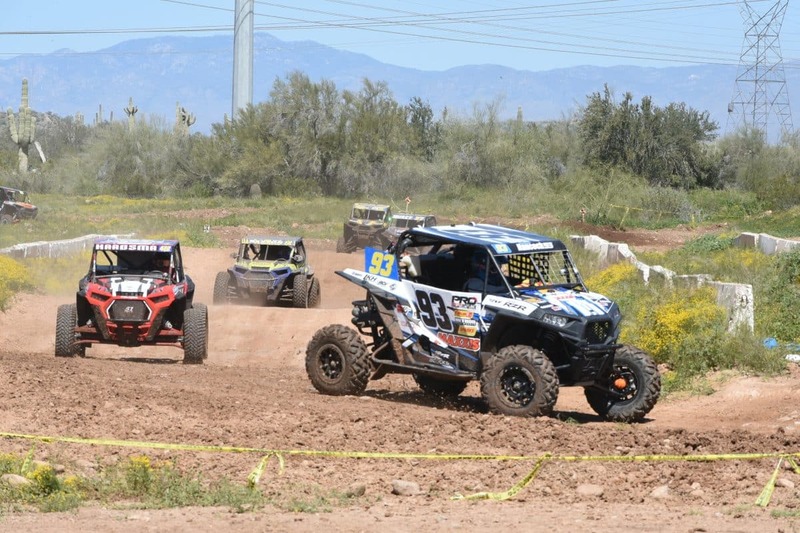 WORCS ROUND 3: Great weather greeted the World Off-Road Championship Series (WORCS) racers at Canyon MX Park in Peoria, Arizona. Corbin Leaverton led Cody Bradbury from start to finish in the Pro 1000 UTVs, for a RZR RS1 1-2. Matt Hancock was the third to cross the finish line in another RS1, but Shelby Anderson (Pol) beat Hancock for the final podium spot on adjusted time. Polaris took the top nine spots with Nic Granlund tenth in a Yamaha. In Pro Turbo, Cody Miller took the holeshot and led from start to finish in his Maverick X3 X rs, with his brother Hunter moving up to second early in the race in another X3. Beau Baron settled into third in a RZR RS1. Cody’s car slowed on the last lap, and Hunter and Baron closed for a nose-to-tail 1-2-3 finish, physically. Matt Hancock, who had been beat on adjusted time in Pro 1000s, pinned it on the last lap to steal the Pro Turbo win by almost 18 seconds. That dropped Cody to second and Hunter to third. LOORRS ROUND 1: Great weather and track conditions made for epic racing at the Lucas Oil Off-Road Racing Series opener in Devore, California. 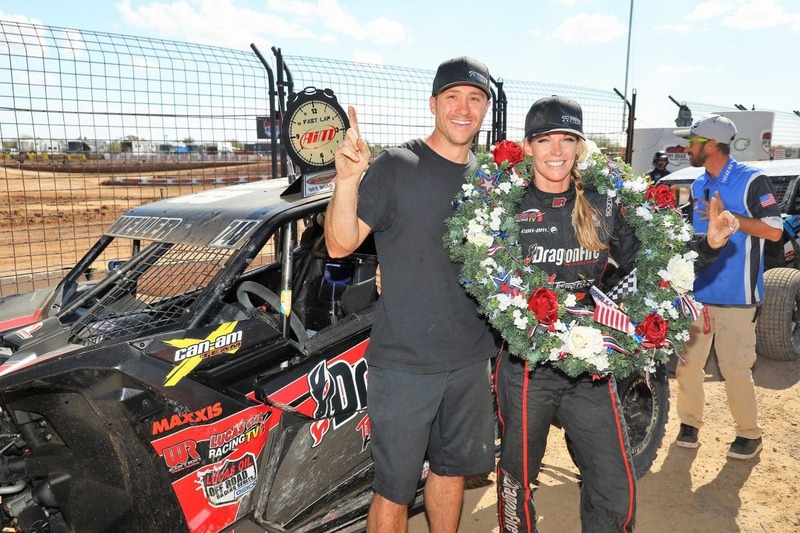 Corry Weller got off to a great start in her Pro UTV Turbo title defense, as she topped the field at Glen Helen Raceway in Devore, California. 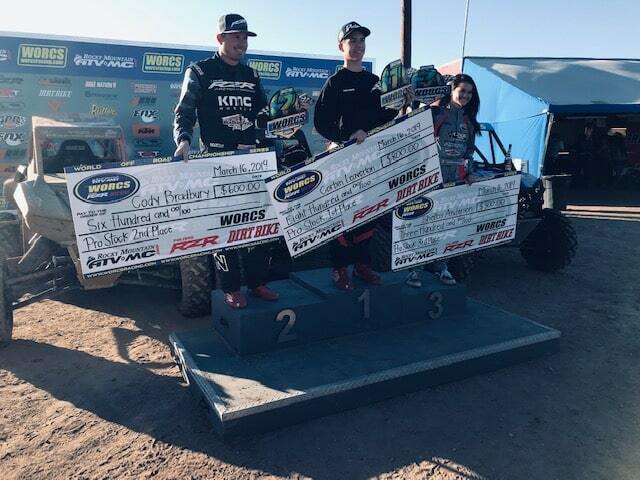 Weller put her DragonFire Racing Maverick X3 on top of the podium with Chance Haugen (Pol) and Ronnie Anderson (Pol) filling out the Pro UTV Turbo podium. 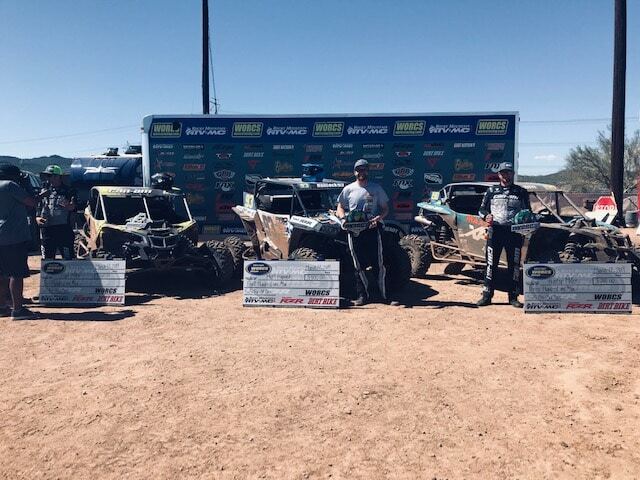 In Pro UTV 1000s, Brock Heger also started off his title defense with a win in his Yamaha YXZ1000R. He topped the podium over Nathan Berry (Yam) and Brandon Arthur (Tex).